If you are planing to come by train you have to exit at station "Langerwehe". We will even catch you from the station. Simply call our party-hotline (you will find the number on this webpage some days before the party). 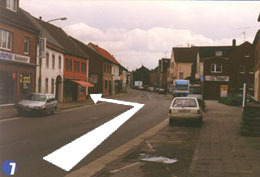 To receive a list of possible connections to Langerwehe simply enter your hometown and the suggested arrival-time in the fields below. Contact travel@evoke-net.de for further information regarding this point, please. ROUTE (Germany only) For those of you coming from Germany simply enter your hometown in the form below and we will give you a detailed description of your way to Evoke 2000. Evoke 2000 will take place in the "Kulturhalle" in Langerwehe. Langerwehe is close to Aachen (Aix-la-chapelle) and Cologne, in the western part of Germany  only some minutes away from the Dutch and Belgian border. This webpage explains how to get to the partyplace. If you should have had difficulties to find the Kulturhalle last year just drop a note to travel@evoke-net.de so that we can improve this page. Below you will find all the information you will need to find the Kulturhalle when coming by car. 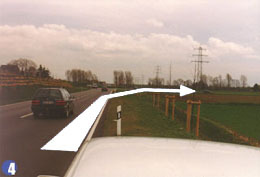 Leave the A4 at exit "Weisweiler". Please, never trust some kind of routing-software asking you to leave at Exit "Dueren". You will hardly find the location. 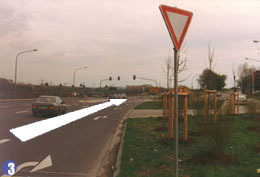 At the first trafficlights turn left if you are coming from direction Aachen and straight on when coming from direction Cologne (if you are not sure drive direction "Weisweiler"). 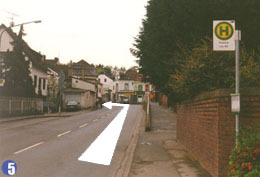 Drive straight on until you have passed the powerplant (not a joke). 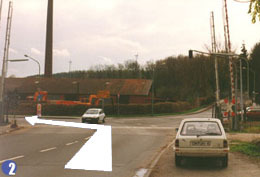 At the trafficlights (not those leading to the plant but those where you can turn left and right only) turn left (direction "Weisweiler" again). 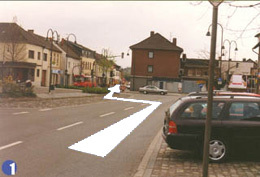 In the center of Weisweiler you have to cross a priority-road. 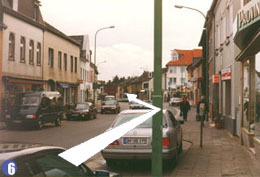 At the first trafficlight in Langerwehe (after the church) turn left. ... you will find a sign "Kulturhalle" on the left (it´s quite small make sure you dont miss it). And there you are. On the parkingplace of Evoke 2000!